I’m going to be real in this blog post. Before last month, I didn’t really have a business plan in the works. I had a general idea of what I wanted my brand to look like and what my ideal client looked like, but I had no actionable steps to achieving success. So over the last two weeks, I wrote out my first business plan! Woohoo! Some of the smaller steps are still a work in progress, but I now have a much clearer vision of how I want my business to look. Do you know how much revenue you’re planning to make in the next 12 months? How about 5 years? These are the tough questions that need answers. By creating a financial goal for yourself, you’re essentially speaking to a major indicator of what success looks like to you. Besides income and expenses, you also must consider other numbers that are indicators of success for you. Do you want to have a 100 products sold by the end of the summer? Do want to have 10k Instagram followers within a year? Take a look at some other numbers that indicate success to you and record them. Increase my social following by 25%, targeting my ideal client. Increase my repeat business by 40%, focusing on building long term relationships. Be published in 10 more online publications. In summary: Create hard goals with specific numbers to define what success means to you. Can you sum up what you do in a sentence or two? And don’t just say something simple, like “I own a boutique.” What kind of boutique? What makes your boutique different? What made you want to own a boutique? etc. For me, I’ve narrowed down exactly what I do. Are you ready for it? I team up with overwhelmed creative entrepreneurs to develop and implement social media and content marketing strategies in order to free up their time for building their businesses. 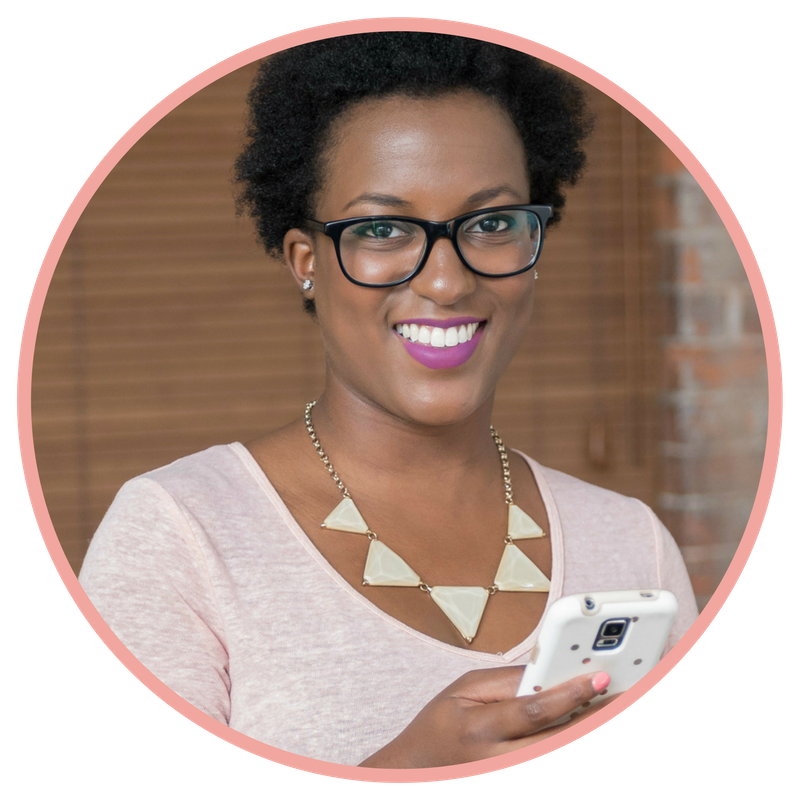 Whether you own an online boutique, edit a digital magazine, photograph babies, or coach other business owners, I take a grassroots approach to seeking your ideal customer and building relationships with your audience in the online space. In summary: Be clear and specific in defining your brand by building a brand statement. (3) How Are You Going To Get Clients? Do you know where your clients and customers are? It’s one thing to define what your ideal customer looks like (which was easy for me to come up with), but how do you find them? How do they find you? Your entire business depends on customers paying so how do you make sure your product or service is seen by the right people. So the real question: How are you going to reach your customers? Word of mouth? Social Media? Commercial advertising? Influencer marketing? Remember, time is money so none of these measures are free. What are you going to invest in to make sure your numbers are met? Apply to open projects on freelancing websites like Elance, oDesk, and PeoplePerHour. This is a more active approach to finding my audience as they are clearly listing their needs and actively looking for like-minded individuals to help. Network with my target audience – Creative Entrepreneurs – online and in person. This includes writing helpful blog posts like this one, joining groups on Facebook, LinkedIn, and Google+, and building relationships with other creative freelancers in this space. In summary: Research ways to reach your ideal client and implement strategies to transform them into paying customers. Now that you have your goals set, how are you going to reach those goals? When you get a client, what do you do next? How do you keep them as a long-term client? What steps are you going to take to ensure that they are satisfied with your products and services? For example, I know exactly how much work I do for every social media client. I know how many hours I’m going to put in each day, and I’ve defined exactly what my process is for each client. And I am clear and upfront as soon as the working relationship begins as to what clients should expect. Once expectations are set, we can work together towards making their online presence awesome! One major step I took in defining my process was making sure my branding on my website and social media accounts is attractive to my ideal client. Once I analyzed how that would look, I redesigned my website and rebranded my image on social media platforms and freelance accounts to reflect my business plan. In summary: Create a path to your goals that’s clear enough to explain and define what your business process looks like from start to finish. After I learned how to construct my business plan, I knew what success meant to me. Success, in my little world, will mean building a book of long-term business that I can help grow and flourish in the online space. I’m specifically working towards increasing my repeat business by the end of July 2015. So tell me, have you created a business plan? What does success look like to you? Great post full of really helpful advice. Thanks for sharing ! This is so well written and so helpful! I love all your tips. Although I am blogging and not starting a business these can definitely still be applied. I think I am going to write out my business plan for my blog now too. Thank you! Glad I could help, Jen! Blogs can be considered businesses too. Whether you’re blogging for a hobby or to make extra income, thinking of your blog as a business can improve your results and help you to your goals. Awesome! I have an MBA so this I think it’s great when everything is planned properly to create a successful business. You have a MBA in business plans! I’m humbled that you read this post from a newbies perspective. If you have anything else to add, I’d love to hear your thoughts! My Macbook has been the best purchase I have made in years! It was my Christmas gift from my husband and now I don’t know how I lived without it!!! These are some great tips. I have thought about how hard this would be to do a couple of times. Thanks for outlining this and sharing. Very helpful! This is a great guide for freelancers and new entrepreneurs alike! I think the first point is the hero in this topic. Fear is the biggest asset as this will help one to understand the why failure happen and counter that with a better plan. So true, Santanu. Many businesses can learn from not being afraid to make firm plans. You’re brilliant. Thank you so much for this blog, thank you for this particular entry, thank you for your guidance. I feel like I can connect to this, you’re not some tycoon who’s done it all, you’re a young person like me who’s doing it … I just became an avid reader. I’m one of your people! !